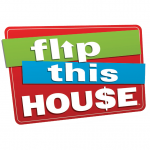 Looking for a house to flip? Start here all these houses are 150k and under! Investors, Flippers, Contractors and First Time Home buyers, check out this list of unbelievable deals in San Diego! Houses Under 150k! Newly Listed!